Material: Polycarbonate screen flexible vinyl frame and elastic strap. Direct ventilation, clear polycarbonate goggles, comfort, flexible anti fog. 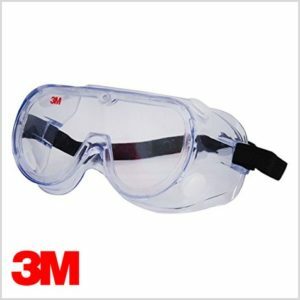 Personal eye protection against chemical splash medium energy shocks of particles & area exposed to splashes of chemicals panting etc.